Water damage costs homeowners in Pontiac thousands of dollars a year in expensive repairs and replacement of personal property. 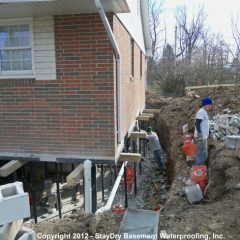 At StayDry, we are committed to giving you the peace of mind that comes from preparation and a job done right. With over 100 years of dedicated service, our professionals are trained to handle every type of repair from the large to the small. 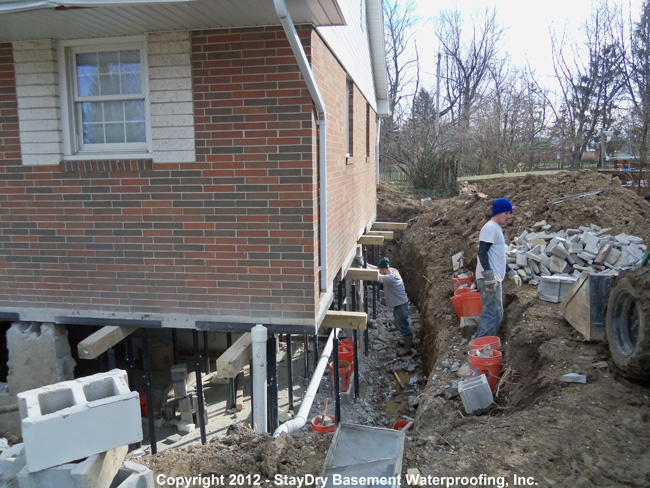 Some of our services include: interior and exterior basement waterproofing, crack injection repair, foundation and crawl space repair, mold control and so many other services. Call our Pontiac office at 1-800-STAY-DRY and we would be happy to answer any questions you may have. The proximity of Pontiac to the Great Lakes gives the city an abundant amount of precipitation year-round. Summers in Pontiac are exceptionally humid and are prone to rainy days. Winters, in comparison, are bitterly cold and bring substantial amounts of snow to the city. This high-level of precipitation can wreak havoc on your Michigan basement. Water damage, as a result of flooding, can have devastating effects on your home. 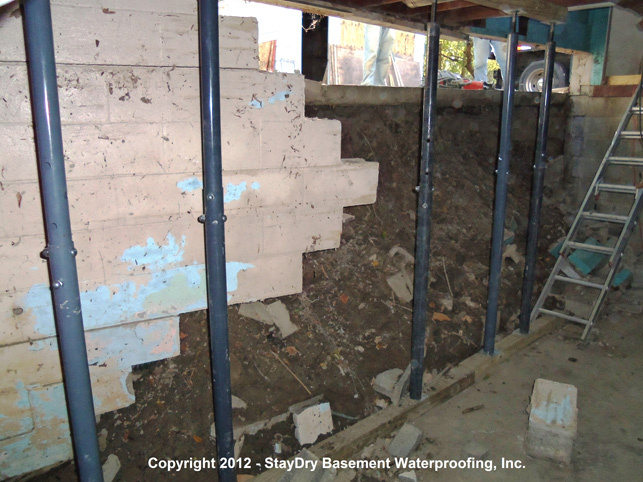 Mold growth and structural issues often arise as a result of basement flooding. 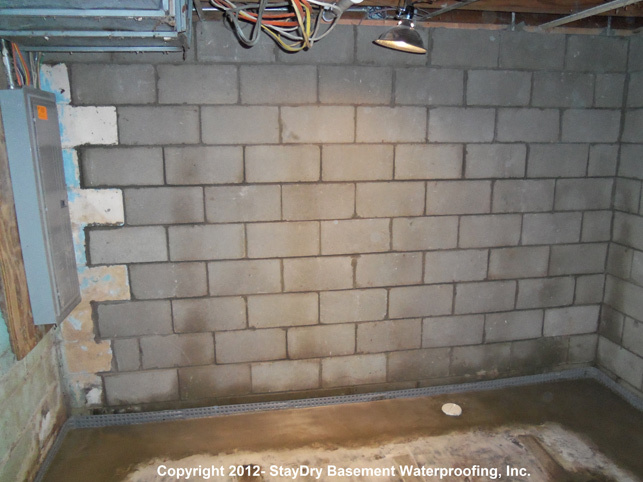 To prevent this and reduce your risks for these issues, we recommend having your Pontiac basement waterproofed. Much like Detroit and other cities in eastern Michigan, Pontiac is no stranger to heavy precipitation. Summers, as mentioned above, are filled with rainy days. In fact, Michigan is one of the rainiest states in the nation. Of course, winters aren’t much different. With more than 30 inches of snow on average every year, Pontiac homes seem to always be at risk for basement floods. In turn, basement flooding can lead to extensive water damage which can have dangerous effects on one’s health. Asthma and even lung infections are commonly caused by mold spores in the home. 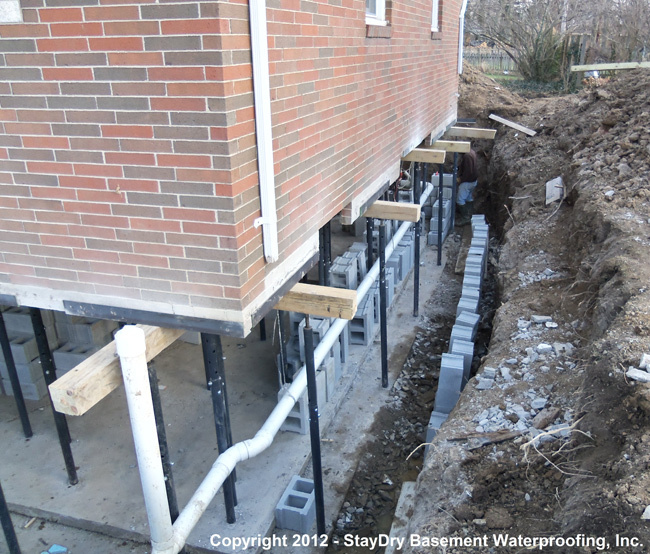 Additionally, for homes at greater risk of basement flooding we offer our exterior basement waterproofing service. While this is one of our more costly services, it is by far one of the most effective at keeping water outside the home. 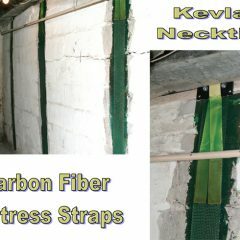 Wet and damp basement and crawlspace needs to be sealed. About an inch of standing water in east side of basement after 8/15-8/16 rain storm. Less water further to the west side of basement as the grade raises. 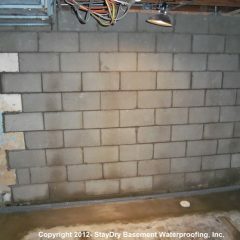 Small leak of water due to crack along the cement block in the basement. Would like to get an estimate. Homes around the Great Lakes are prone to flooding. Fortunately, there are precautions you can take to prevent water from causing permanent damage. Not only do safety precautions bring you peace of mind, they will save you money in the long run. Preventative measures are always cheaper than repairs. Foundation settling is normal and common. If your doors or windows are difficult to open, your foundation has likely settled. When this happens, it’s important to check for wall cracks. If the crack is horizontal, you could have a serious structural problem. StayDry will replace the entire walls or, if the damage is slight enough, we will install steel bars or Kevlar straps to keep the wall in place. If the crack is vertical, we will keep water out with our high-pressure polyurethane injection system. At StayDry, we don’t cut corners. Unlike our competitors who do shoddy jobs in hopes to force customers to need future repairs, StayDry injection repair comes with a lifetime guarantee. We will keep water out and prevent cracks from expanding. For Pontiac locals, heavy moisture is no foreign concept. Michigan has some of the highest average yearly precipitation. If you live near the Great Lakes, then the water table is high and the soil is wet year round. 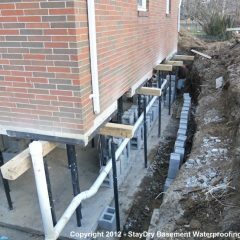 In order to keep water out of your house and redirect it elsewhere, StayDry will install a sump pump and French drain system. A French drain takes water from the perimeter around your house and funnels it into the sump basin. This basin is then emptied by the sump pump. Those looking for additional protection will love our exclusive PumpSpy. 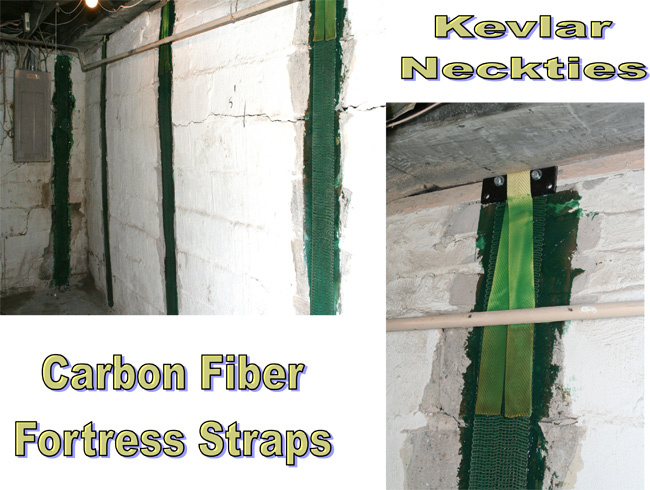 This provides additional assurance that your basement will stay dry when you are asleep or on vacation. This backup pump comes with extra batters and float sensors. If your sump pump fails unexpectedly, the PumpSpy will keep your basement dry. If the soil under and around your home wasn’t properly tested, it could lead to permanent foundation problems. Weak soil can lead to sunken or cracked floors. If you notice that your floor is sinking, call StayDry immediately, and a representative will rush over and help prevent additional damage. The aforementioned issues that often accompany flooded basements should be plenty reason to have your Pontiac home waterproofed. Mold and structural damage can and will affect everyone within the home, and even put them in danger, as the compromised structure could be at risk for further issues. Also, consider the possessions that could be damaged from water entry. Simply put, your best bet is to prevent these issues with effective waterproofing. It’ll pay off too, as it’s always cheaper to prevent damage than to repair it. Additionally, our interior waterproofing services are all backed with a lifetime warranty, so you know your Novi home will stay protected. 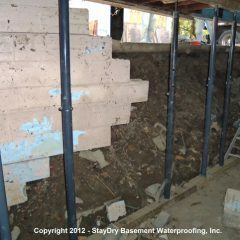 If you are in need of StayDry’s basement waterproofing services, we are here to help. You can contact us here or call us at 800-800-7073 for your free quote and consultation.